How Cute is this! This Reclaimed door has been transformed into a Mobile Gardening Center! 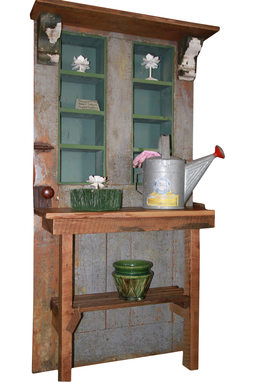 Behind the door is a hidden storage bin for your Top Soil & Pots!